Sounding more like an episode of Law and Order, a pimp by the name of Dante Dears was allegedly using a Samsung branded Android phone for "telephone pimping". Dears had been ordered off the streets as the result of a previous arrest and was shackled to a GPS monitor. When first questioned by the FBI after a source saw him using a phone to arrange dates for his prostitutes, he said that he didn't have a cell phone and that the one he was using belonged to his sister. The Feds wanted to get whatever information was stored in the handset to use against Dears and the pimp finally turned over the phone to them. There was one little problem that on its face, wouldn't seem to be something that would baffle the FBI. It seems that Dears uses a pattern to unlock his Android handset, but you wouldn't expect that a pimp could foil the mighty FBI with such a crude locking method on a 3X3 grid. Because of a waiver that the pimp signed as part of the terms of his parole, Dears had given up his fourth amendment rights which would have allowed the long arm of the law to search the phone as soon as it was discovered. But because the phone was locked (which was a violation of his parole) a warrant was required. The warrant was obtained by the good guys and the phone was shipped off to the famous FBI lab where a small pubic hair can be used to determine the identity of bank robbers and determine what they ate for breakfast that morning (okay, that might be a slight exaggeration). The world famous FBI lab ran into a snag. They could not figure out the pattern needed to unlock the phone. Twenty combinations were tried and twenty times the FBI was shot down (pun not intended) until the infamous password prompt showed up on the screen. Next stop was getting a subpoena to Google to get access to Dears’ Google account. 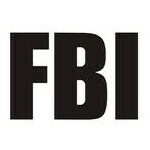 The information that the FBI was looking for included the subscriber’s name, address, Social Security number, account login and password; email and personal contact lists on Dears' cell phone; times and duration for every website visited; text messages sent and received from the phone including video and picture messages; all email and IM accounts on the handset; verbal and written instructions for overriding the pattern lock on the phone; All search terms, Internet history, and GPS data that stored for the handset by Google. 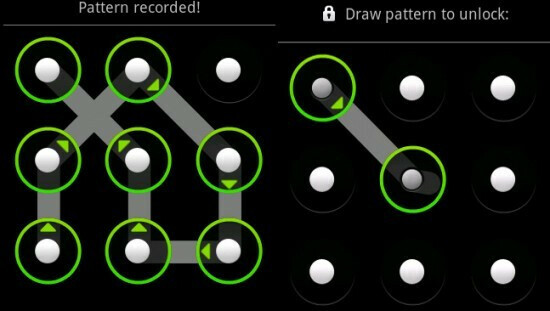 If you're trying to keep prying eyes out of your Android handset, it seems that setting up a pattern lock might be the way to do it. If the FBI, with all of its crime solving abilities, can't figure out a simple pattern, we would imagine that the information stored in your phone would be safe from your spouse, kids, IRS, nosy friends, and the FBI. Pings, I was dying reading that. "Where my powder at?!?!" Seriously? I can't believe the FBI can be so stuuuuupid. Just go to a droid hacker and he'll make your droid do anything you want. Can they subpeona your face if you use face unlock? Wow this is another reason why I love and faithfully use a Android phone. Google should just be like, my bad, we have no records of this person haha. Sorry F.B.Izzel, "We don't keep personal information. Hate da game, not the playa!" To be fair the FBI is underneath the CIA and NSA for this kind of stuff. Especially the NSA. Makes me want to stop reading this website, ridiculous article to even post. Phone Arena has posted more bad articles than usual lately... I used to read most articles on the page, now it's about 1 in 5 articles. Although they still are top on my list for news... I check their site probably 5 times a day at least!